Out with the old and in with the new. 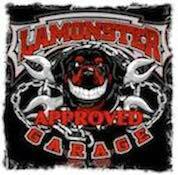 Big changes here at Lamonster Garage and part of that change is a new logo with our Shop Dawg. Now in white long sleeve!!! Love the Dawg. Neat looking shirt. Hope it wears well. Lamonster Garage T-Shirt "If You Just Passed Me"